Beautiful Incentives: For those of you who hate swallowing horse pills. For those of you who hate swallowing horse pills. I was provided a free sample, via Centrum, in exchange for my honest review. All information is FTC compliant. 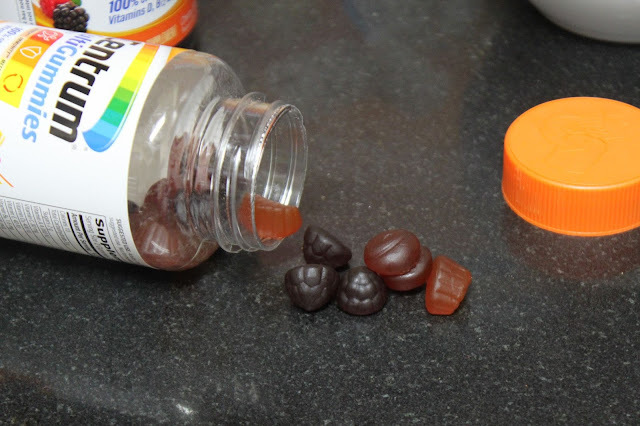 Hate swallowing your horse pill multivitamins? You are not alone. I can't stand it. I can swallow pills fine, but my current multivitamin is bigger than any vitamin should ever be. I get it has good stuff, but does it really have to be that big? In this day and age I feel like they can condense things better than this. Even when I cut the pill, it doesn't go down easy, because it's jagged and sadly still kinda freakin big! 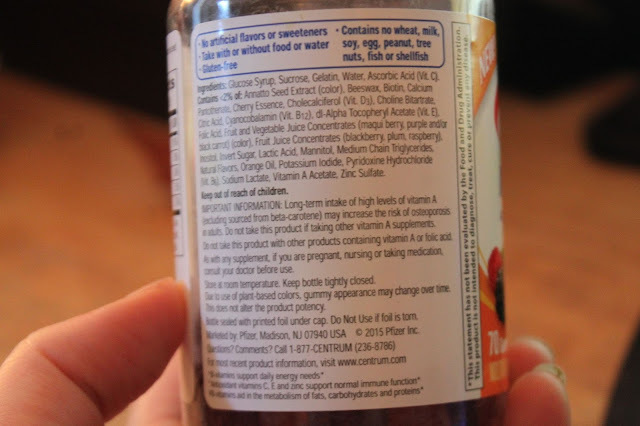 Normally, I like my multivitamins to be free from any processed ingredients or sugar and to be whole foods based. That said, I can be sold if it's much easier to consume. 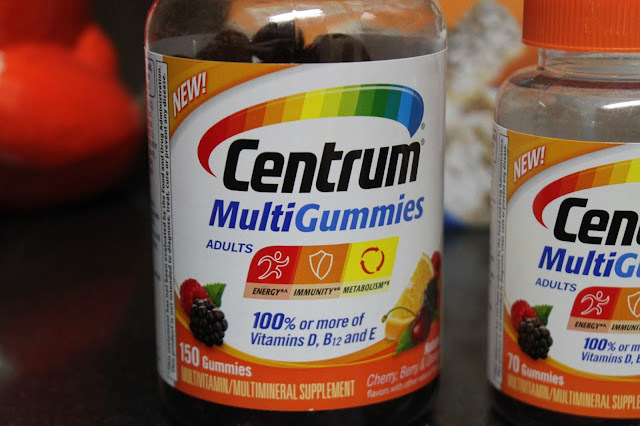 And well, as much as i'd love for the easier chewable vitamins to be sans many ingredients, I decided to try Centrum MultiGummies, simply because I was offered to try it out! The Centrum Multigummies boast to have 100% more vitamin D, B 12 and E than other leading brands and more than what they previously had. The samples I tried are cherry, berry and orange flavored. All pleasing to the pallet and akin to eating candy. As you'll see in the picture below, it's got added sugar and some processed ingredients, but nothing too over the top. Is it what I like in my multivitamin? No, but check out the specks and all the nutrients. It's not perfect, but it's still much better than most. Several things I do appreciate about these gummies is that they are free of any wheat, milk, soy, egg, peanuts, any tree nuts, fish or shellfish! That's a lot of allergens they covered. Many people are allergic to these and they are in other brands. They also use annato seed exract for the color base, opposed to red 2 or some other processed dye. As well as juices for the flavoring. So they're on a much healthier track. It is up in the air whether or not a multivitamin is really insurance for your health, but I like to cover all my bases and take one once or twice a week. To get that extra boost of nutrients. They taste great, really don't have too much added sugar and it's like getting a little candy fix in my day. I'm going to stick with Centrum and see what happens. 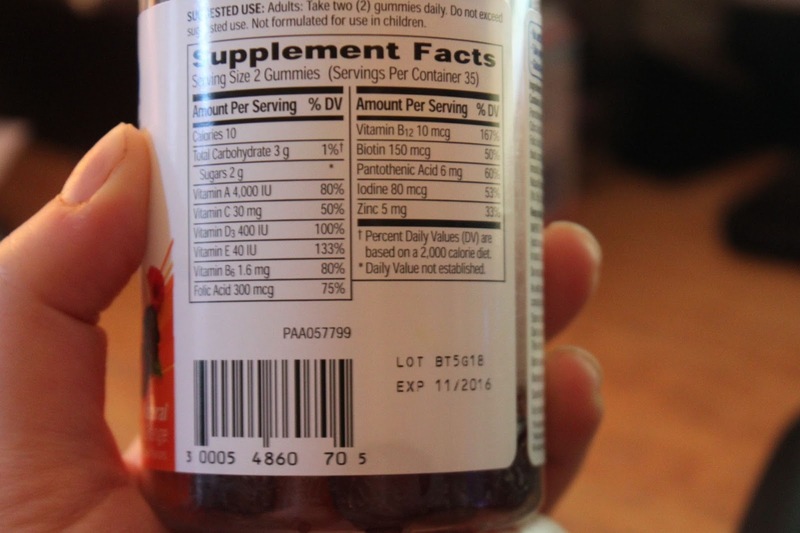 I do appreciate the 150 mcg of Biotin in it, which is really good for nails, skin and hair. Overall, it won't hurt you to try these out for a month to see what they do for you. I like to experiment with my health regimens. Sometimes things amaze me and sometimes they utterly disappoint me, but the chance and money are worth it to see the outcome. the only problem I see if you have no willpower and try to eat more than you should because they're so tasty and gummy bear like. Don't do that. 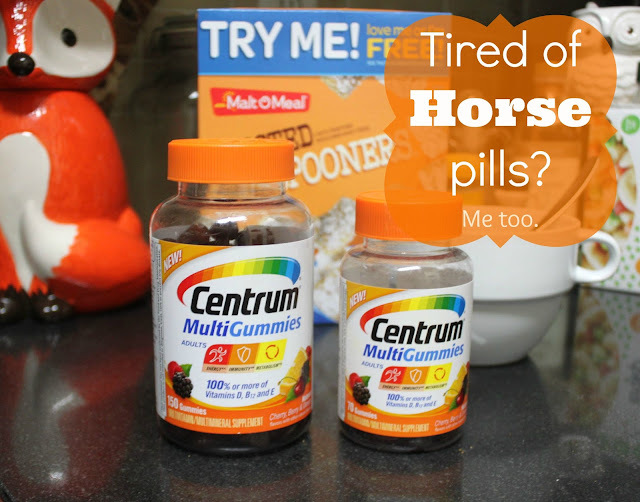 You can also save $4 on Centrum MutiGummies by filling out this form. Happy Health!